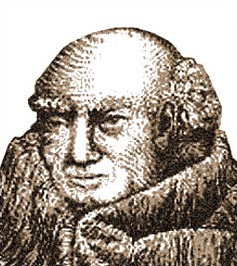 Johannes Scotus Eriugena was among the first to propose a form of Pandeism. Source: Wikipedia. I need to start with a disclaimer: this article does not necessarily capture any of my personal beliefs, philosophical or otherwise. It is simply an intellectual exercise in trying to relate radically distinct, but curiously complementary concepts, for the sole sake of intellectual exploration. There are materialistic points of view that deny the existence of the “hard problem of consciousness” (see Dennett), or trivialize it, including a school of thought that contends consciousness is an emergent property of sufficiently-complex systems. Others seek a solution to the “hard problem” by associating consciousness to some intrinsic causal powers of specific substrates (see Searle). Penrose and Hameroff go a step further in theorizing about the specific origin of these causal powers, and proposing quantum effects as the basis of the manifestation consciousness. Below, I draw some intriguing parallels between the debate around the “hard problem of consciousness” and the philosophy of Pandeism. The result is, by its very nature, utterly and hopelessly speculative. Still, it provides an intriguing, holistic view encompassing all sides of the debate. Pandeism is a school of thought that holds that the universe is identical to God, but also that God was initially an omni-conscious and omni-sentient force or entity. However, upon creating the universe, God became unconscious and non-sentient by the very act of becoming the universe itself. The central ideas behind Pandeism have been captured in a very accessible way by the most unlikely of authors: Dilbert’s creator Scott Adams. In his book “God’s Debris” (available for free download here), Adams surmises that an omnipotent God annihilated Itself in the Big Bang because It would already know everything possible except Its own lack of existence. To experience Its own non-existence would be God’s only conceivable action, and Its own obliteration the only avenue for its fulfillment. After essentially blowing Itself to bits with the Big Bang, God supposedly exists now as the smallest units of matter and an associated, intrinsic law of probability. Adams further surmises that God (i.e. the universe) is currently reassembling Itself though the continued formation of a collective consciousness/intelligence in the form of e.g. the human race (“we are God’s debris”). The innate drive for such cosmic reassembly would explain the natural human need for communication and sharing, as reflected in the development of technologies like the Internet, mobile communications, etc. Upon completion of this reassembly process, consciousness (God) would again be omnipresent, but now complete in the experience of its own non-existence. Consciousness is a property associated intrinsically to God. This is consistent with the thoughts of Theists like William Dembski, who denounce the materialistic view that consciousness can emerge simply from physical complexity. It follows from 1 that, because the universe consists essentially of the “debris” of God’s self-annihilation, the potential for consciousness should be intrinsic to the matter and energy in it. This is consistent with Searle’s views that consciousness is causally dependent on its physical substrate. The idea of a final cosmic re-assembly of God into an omni-conscious, sentient being is somewhat analogous to Kurzweil’s post-singularity vision that technology evolution will inexorably lead to a future where intelligence will permeate all matter in the universe. It follows from 2 and 3 that consciousness should somehow manifest itself on substrates that have reached an appropriately-high level of re-integration in the course of God’s on-going process of re-assembly. This is analogous to the need for sufficiently-high integration and complexity behind the idea of Emergence as an enabler of consciousness. The idea that the essence of God is intrinsic to the properties of the sub-atomic particles, and to an associated law of probabilities, relates directly to the non-deterministic properties of quantum mechanics that Penrose identifies as essential for consciousness. The ontological validity of Pandeistic views aside, I cannot help but find it intellectually intriguing that, under the parallels above, every side of the heated and long-lasting argument around the “hard problem” of consciousness seems to be simultaneously correct. Factual or not, the mere fact that a philosophical system can be conceived wherein those apparently mutually-exclusive views no longer contradict one another is remarkable. Will this be in the book? Looking forward to it!! The word of god (aka Deus) in a pandeist sense is the law of physic that governs the law of chemistry, biological, and everything else. Just prior to the big bang, the temperature was hypothesized to be at 13 trillion degree Celsius. Scientists agree that the law of physic was suspended at such high temperature. The law of physic only came into affect after the temperature cool dramatically after the big bang - hence the birth of Deus. By deductive reasoning, the end of the universe (Big Crunch, Deep Freeze, or whatever) will represent the death of Deus because. This is because the law of physic will not apply at the end of the universe like it does at the beginning of the universe. All entity that has a beginning has an ending. All entity that has an ending has a beginning. If God thinks you're special, it probably means you made Him up. 1. Consciousness is a property of people. Nobody knows there's a God so to say consciousness can only be intrinsic to him by defining it as such; in which it is also instrinsic to conscious rocks. 2. It doesn't follow at all. If you blow up a person who was conscious that doesn't prove that the pieces are conscious. 3. The best current data says the universe will expand indefinitely at an increasing rate. God won't reassemble and more than the person you blew up. 4. That sounds like functionalism, not panpsychism. 5. Penrose thinks non-computationalism is essential for consciousness, not quantum randomness. There's nothing remarkable about making up stories about how X is compatible with Y, particularly when the supposed incompatibility was never explained. Like most Aristotelians, the author is not aware of the hard matter problem, and take the physical for granted. Computationalism leads to a more platonist approach. See my url for references on this. I'm not an Aristotelian, as nearly every article of this blog should make clear. Wow. Small world. Hi Bruno. Hi Knuje. Hi Brent. We carry the seeds of Godhood within us. We share ITS nature, so Unity is our manifest destiny and the telos of existence.